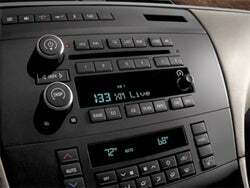 General Motors has announced a price cut for the optional XM factory-installed XM satellite radio. It is a pretty significant cut of 39-percent. Beginning with the 2007 year vehicles the factory-installed XM satellite receiver will go for $199, cut from $325. A GM suit explained the reasoning behind the cut: "XM Radio has become a must-have feature for many customers and demand continues to grow." Wait, so demand it up and the prices go down? I know I slept through a lot of my macroeconomics class, but that doesn't sound right. A whopping 90-percent of all 2007 model year GM vehicles will offer optional factory-installed XM.